S.J. 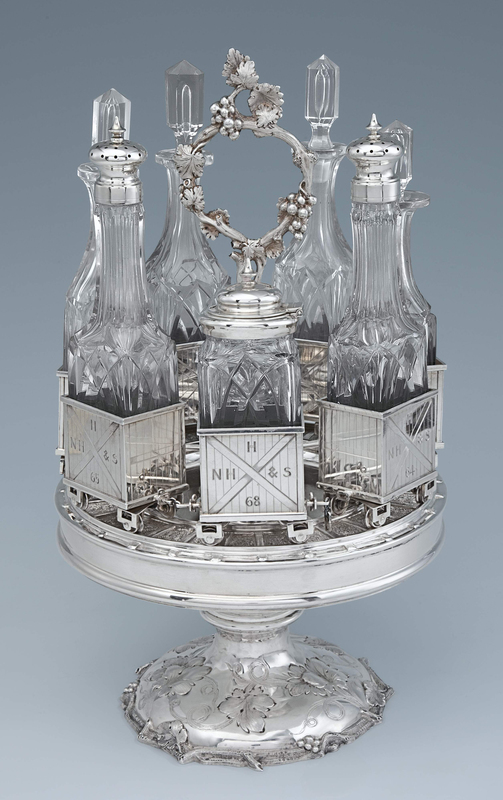 Shrubsole New York, NY 212-753-8920 inquiries@shrubsole.com A Rare American Antique Silver Railroad-Form Cruet New York, circa 1853 by Tiffany & Co. Height: 14 1/2” Stock Number: V8645 Designed as a circular railroad track mounted with railcars that rotate around the handle. Engraved with the initials of the Hartford, New Haven and Springfield Railroad. How amusing!